Is January the 1st of each Roman Gregorian Year the New Year’s Day that YAH or ELOHIM (a.k.a GOD) created from the beginning of time? The Hebrew term TESHUVAH (literally: “RETURN”) is used to refer to “repentance“. This implies that transgression and sin are the natural and inevitable consequence of mankind’s straying from YAH Almighty and HIS laws, and that it is mankind’s destiny and duty to be with YAH Almighty! It is also a time to CROWN YAHUVEH GOD as KING OF KINGS! 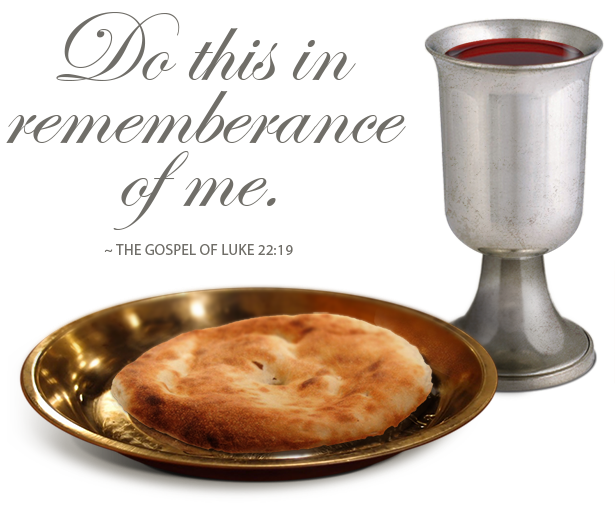 It’s not a time for just feasting but also going into HIS Presence with Thanksgiving and Praise (Psalm 100). We are to fellowship with one another in HIS Presence (a.k.a go to the Temple/Synagogue/Church or even Home Fellowship). 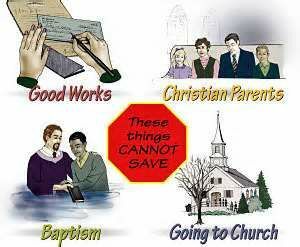 34 YAHUSHUA(Yeshua) answered them, “I can guarantee this truth: Whoever lives a sinful life is a slave to sin. 35 A slave doesn’t live in the home forever, but a son does. 36 So if the Son sets you free, you will be absolutely free. 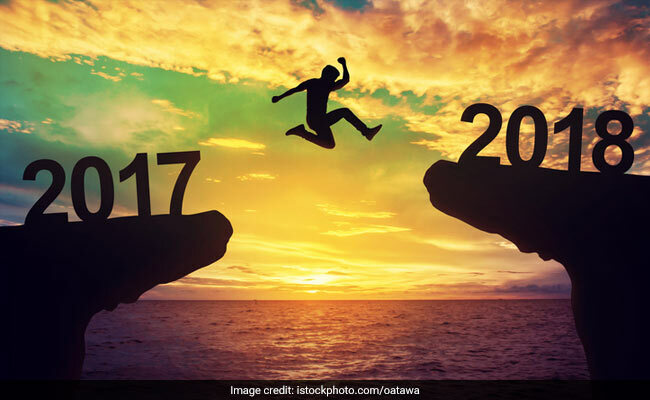 When it comes to the Gregorian New Year’s Day, our advise is to spend the 31st of December (New Year’s Eve) fasting and praying, if possible into New Year’s Day (1st of January) because we can not get rid of the Gregorian Calendar by ourselves. YAH still honours it and uses it to prophesy. The entire world uses it. So we need to spend time in PRAYER, PRAISE & WORSHIP around this time of year. You can even carry on fasting during the whole of January. Some people start fasting on 1st December until 31st January seeking YAH concerning the upcoming New Roman Gregorian Year. According to the Roman Gregorian Calendar, we are now in December 2017. As per this calendar. Christmas Day is 25th December and New Year’s Day is 7 days later which brings us up to 1st January. In Scotland, 1st and 2nd January are bank holidays or days of rest/bank holidays. The days, 31st December, 1st January and 2nd January of each previous year and new year respectively are referred to as “Hogmanay” in Scotland. This has its roots in Paganism. It all started with the Vikings. At the time in Scotland, Christmas was an official day of work (no rest and feasting). The U.K had chosen to become Protestant thereby separating themselves from the Roman Catholic Church and anything associated with it including the feasts. The U.K therefore wanted nothing to do with the Roman Catholic feasts as they were protesting against the Roman Catholicism. So the idea came in Scotland to start the “Hogmanay feast” during which time, presents were exchanged amongst other things. People were forced to work on Christmas day back in history. “Hogmanay” was therefore something to look forward to. To this day, “Hogmanay” is a very much part of Scottish Culture. It is most evident in Edinburgh where big groups of people are seen doing “torchlit processions.” Click here for more information on this. Note that Scotland is the home/headquarters of freemasonry. This makes Scotland very dark spiritually. Iona Isles in Scotland, etc. 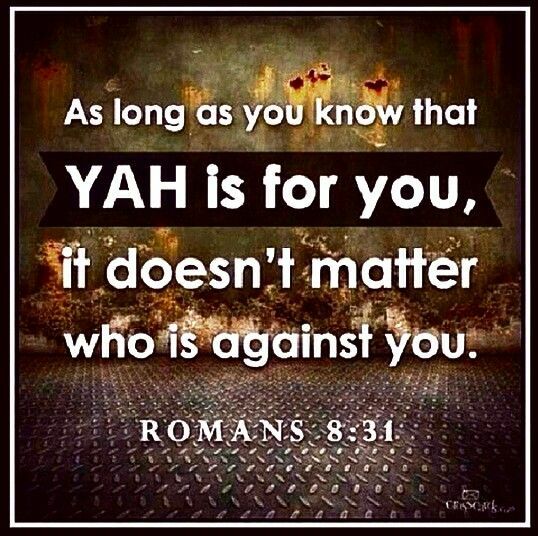 One has to engage in much more constant spiritual battles/warfare in order to break through the darkened spiritual atmosphere (Ephesians 6) in order to get through to the Shammayim/Heavens spiritually or even enjoy YAH’S Presence constantly. Note that the 12 days of Christmas begin on 21st December and finish on 2nd January. I have never seen any appearances of this in the Holy Biblical Scriptures. It was never set up by YAHUVEH/YAHWEH GOD Almighty! It is all part of paganism. It is offensive to YAH Almighty! This is one of the things which Prophet Elijah and Prophet Elisha amongst others worked and preached against during their days on earth as seen in the 1 & 2 Books of Kings. YAH knew that HIS calendar would be messed around with by Satan in the future. It was done just as he perceived it to be. Prophet Enoch (Genesis 5 & Hebrew 11:5) was the very first person to see this evil change. 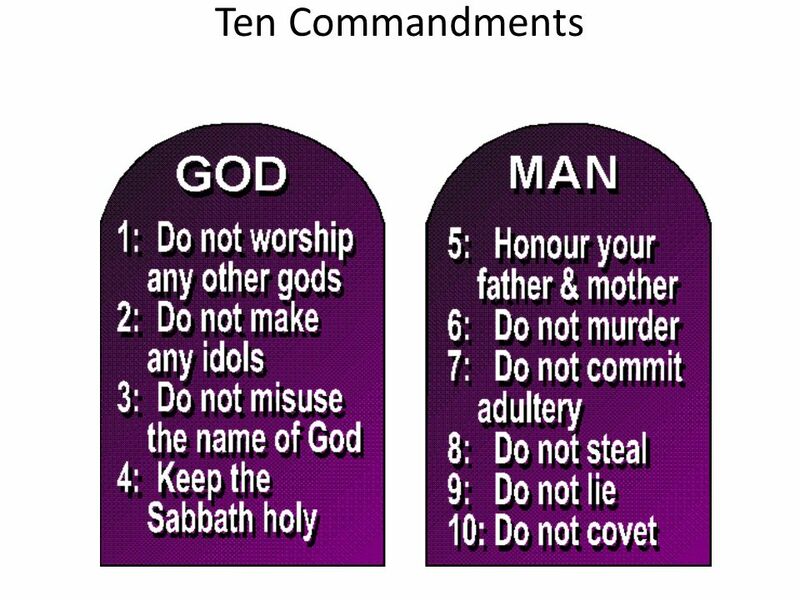 In the Book of Enoch, YAHUVEH GOD told Enoch that if HIS people do not observe HIS COMMANDMENTS strictly, their calendar would be changed in an ungodly manner. Interestingly enough, the Orthodox Jews do not recognise 25th December and 1st January on their Calendar which is also known as the Hebrew Calendar (a.k.a YAH’S Calendar). Why is this? Why is their Calendar different to that which the entire world follows? Additionally, the Ethiopians do not follow the Gregorian Calendar that the entire world follows. A small community of the Ethiopians who also known as the Yemenite Jews observe the Hebrew Calendar. They are looked down upon sadly. Many of them have successfully relocated to the Holy Land, Israel over the years where they are now freely practising their faith. The official Ethiopian calendar is quite similar to the Roman Julian calendar, which was the predecessor to the Roman Gregorian calendar most countries use today. This is the main calendar used in Ethiopia. It is also the official calendar in the Orthodox Tewahido Church in both Ethiopia and Eritrea. It is a solar calendar, based on the time it takes Earth to make 1 full orbit around the Sun, also known as a tropical year or solar year. The Ethiopian calendar is based on the same astronomical calculations that lie behind today’s Gregorian calendar and its predecessor, the Julian calendar. The Ethiopian calendar is closely related to the Coptic and Julian calendars, but it is not quite the same. A year in the Ethiopian calendar is 13 months long, with 12 months of 30 days each. The last month has 5 days in a common year and 6 days during leap year. Like in the Julian calendar, a leap year in the Ethiopian calendar happens every 4 years without exception. The main point of difference lies in the calculation of the date of the birth of Jesus, which means that the Ethiopian calendar is 7 to 8 years behind the Gregorian calendar. While most Christians celebrate Christmas on December 25, Ethiopians celebrate Christmas on January 7 along with many Orthodox Christian churches around the world. Most other Orthodox churches use the Julian calendar. A few Orthodox communities use the Revised Julian calendar instead, which is one of the most accurate calendars ever developed. Also, the Chinese have a different new year’s day to that of the rest of the world. Now, let us go back to the beginning. The important question in all this is that, how did the world come about or come into existence? Who (exactly) is in control of this world? If we can answer these questions correctly, then we know that we can answer every other question related to that, for example, in this about the Calendar that should be followed by all mankind. In this Ministry, we believe in the existence of YAH/ELOHIM/GOD THE HOLY TRINITY. We therefore believe very much so that the Holy Biblical Scriptures are True, infallible and inspired by YAH. 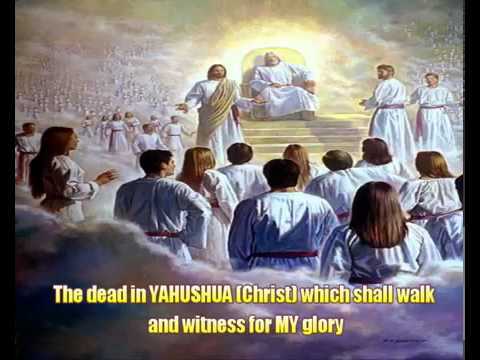 ABBA YAHUVEH, YAHUSHUA HA MASHIACH and SHKINYINYAH GLORY (a.k.a RUACH HA KODESH, IMMAYAH) are in-charge of this world!!! It is our belief that this world is not millions of years old as said by some. It can not be based on some prophecies as well as the Book of Jubilees as well as the Book of Jasher. Dinosaurs did not exist millions of years ago or even 30,000 nor 40,000 years ago but rather sometime after the Sons of GOD transgressed with the Sons of men (Genesis 6). I have learned that when the Sons of GOD came to transgress with the Sons of men, they not only had sexual relations with the Sons of men but also with animals. Dinosaurs are actually giant lizards. They belong to the reptile family. I understand that there was a video which was shown on the National Geographic channel about dinosaurs ( WALKING WITH DINOSAURS) and in this video all kinds were shown, including those in the air and those in the water. This can be very confusing especially because the video depicts that mankind did not exist during their time. However, as per the Book of the Secrets of Enoch and Book of Enoch, the dinosaurs did exist at the same time as mankind did. This was one of the reasons YAH Almighty sent the Great Flood. Click here to learn more about the existence of dinosaurs. So just as there were giant human beings, there were giant animals within the same time frame before the Great Flood. Enoch prophesied all these things before his holy harvest/rapture to the Heavens. The reason i uploaded this picture is just that it proves that dinosaurs did not exist millions of years ago but rather thousands of years ago (not 30,000 or 40,000!!!). 3 Then God said, “Let there be light!” and there was light. 4 God saw that the light was good. So God distinguished the light from the darkness. 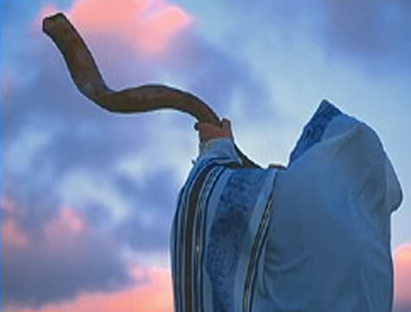 12 Now Adonai spoke to Moses and Aaron in the land of Egypt saying, 2 “This month will mark the beginning of months for you; it is to be the first month of the year for you. 12 Yahweh said to Moses and Aaron in Egypt, 2 “This month will be the very first month of the year for you. The clue as to YAH’S New Year’s Days is given in the above two Holy Scriptures. Looking at the Hebrew Calendar, there are two Hebrew/Jewish New Year’s Days whose Hebrew names are: ROSH HA SHANAH which literally means HEAD OF THE YEAR! When are the two Hebrew New Year’s Days? Why two New Years’ Days? The reason for the two is YAHUVEH GOD desired to make the deliverance of HIS Specially Chosen People Israel from Egypt to stand out and be remembered for ever more. Any time you ask why two New Year’s Days, the answer always links back to PASSOVER/PESACH. Can’t omit that when explaining. If the new, New Year’s Day is scheduled for March/April time, then when was the old one? Well, the answer is 7 months back or ahead depending on how you count. The First is usually scheduled around March/April time of the year on the Roman Gregorian calendar. The Second is usually scheduled around September/October time of the year on the Roman Gregorian calendar. The old one was seven months ahead or back in counting on the Hebrew Calendar. In terms of which one carries more weight, the answer is that they both carry the same weight however and since the day the calendar was changed as per Exodus 12:1-2, all historical records from that day onwards were written based on March/April being the Hebrew New Year’s Day time. It is part of the HIGH HOLY DAYS of each year which come about consecutively. It is also the day on which the Orthodox Jews expect their Mashiach/Messiah to come and deliver them from all the persecution that they experience plus restore them. They actually dress in white on this day and very often in new clothing (a.k.a never worn before clothing). The Hebrew New Year’s Day that occurs in March/April is hardly recognised by the Orthodox Jews and/or celebrated. The only reason it stands out is because it is linked to the PASSOVER/PESACH Holiday which come about 2 weeks later. Much more preparation is made for the ROSH HA SHANAH which comes about in September/October time yearly. The Jewish/Hebrew New Year’s Day or ROSH HA SHANAH is a very important day unto YAH Almighty (a.k.a YAHUVEH, YAHUSHUA and SHKINYINYAH GLORY) Almighty! It marks the beginning of new things. YAH has revealed through Apostle/Prophet Elisheva Eliyahu that YAHUSHUA HA MASHIACH (a.k.a JESUS CHRIST/YESHUA) will return for HIS precious Bride (& Guests) who are ready on a Rosh Ha Shanah (a.k.a Jewish New Year’s Day). 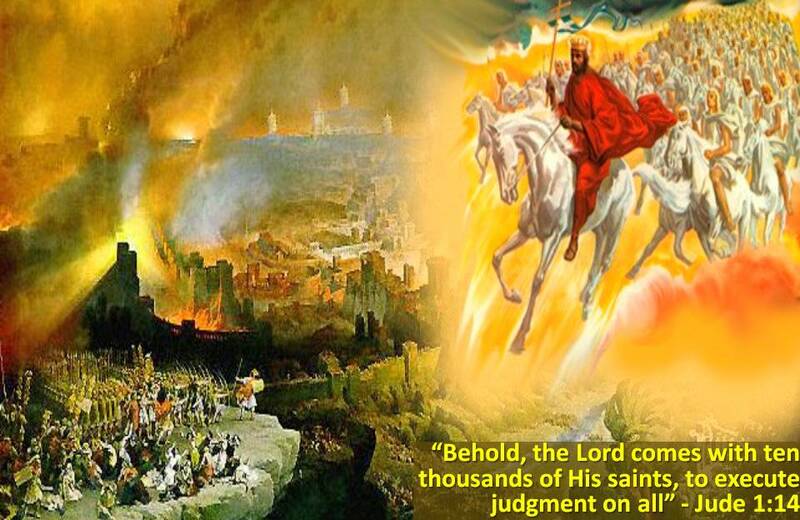 This is called the Holy Harvest/Rapture (https://yahushua-thechiefcornerstone.com/what-if-rosh-ha-shanah-is-the-day-i-come-for-my-bride-guests/). This confirms the Orthodox Jews’ expectations. 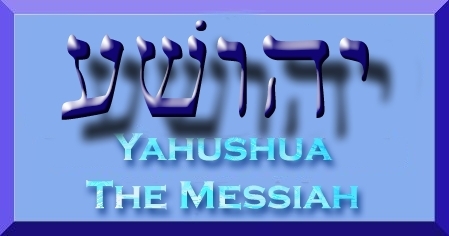 The difference is that their own Mashiach/Messiah is different from that of the Messianic Jews. They will therefore miss this great event if they do not repent and accept YAHUSHUA as their only one and true MASHIACH/MESSIAH. Sadly, after YAHUSHUA’S First Coming to earth, YAH’S Calendar was changed. First, the Orthodox Jews cut some years out so as to cover up YAHUSHUA’S First Coming. Then later, the Roman Catholics created the Roman Julian Calendar. At some point later in history, the Roman Julian Calendar was altered and subsequently, the Roman Gregorian Calendar was created. The historical details of this can be found on our Gregorian Calendar page. With this in mind, we have the understanding that we can not avoid Roman Gregorian January New Year’s Day however at the same time, we should pray about the new year that is about to spring forth because until YAH restores all things to HIS original design, we are still stuck with some things, such as the Roman Gregorian Calendar. That is not to say that Christmas and Easter are okay to observe. 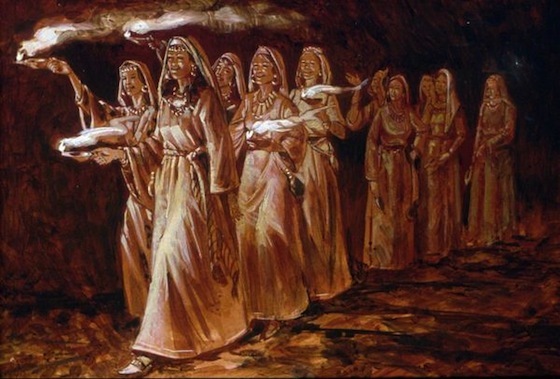 Prophet Daniel, Shadrach, Meshach, Abednego, Queen Esther/Hadassah and Modeccai amongst others avoided taking part in what YAH did not ordain for them to observe. Sadly, the January New Year’s Day is still part of the 12 days of Christmas and is in fact a pagan holiday. A lot of human sacrifice unto Satan is carried out by some people around the world in commemoration of the January New Year’s Day. We therefore ought to be careful by being prayerful. So, in conclusion, January New Year’s Day is not and has never been and will never be YAH’S Original New Year’s Day. YAH’S New Year’s Day would not have any connection or association with the Winter Solstice or Summer Solstice. 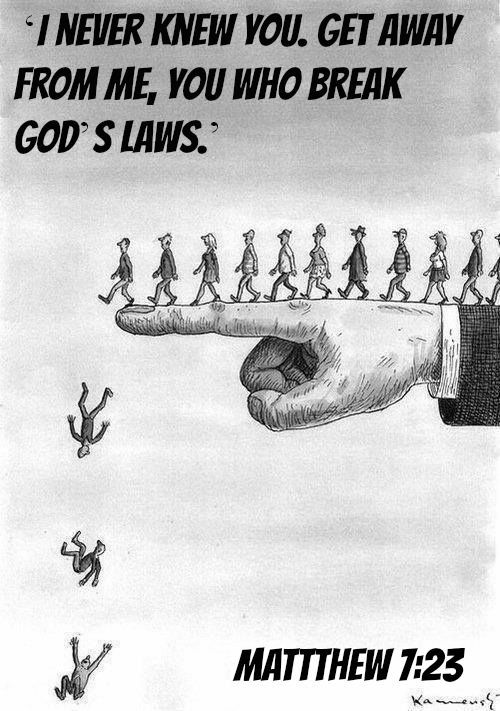 That’s not how YAH operates! There is so much more meaning of New Year’s Day to YAH a.k.a ELOHIM! It is not just a day we do fireworks, shout, have parties, drink and be merry. It is a day of new beginnings for YAH in the spiritual sense as well as a day for YAHUSHUA’S Bride and Guests to rejoice greatly because they can have a chance to be harvested/raptured to the Heavens. The world can not learn and enjoy this unless they observe YAH’S Calendar. YAH’S New Year’s Day is a day to rejoice because it means that the occurrence of the WEDDING/MARRIAGE SUPPER OF THE LAMB OF YAH is very near. If we do not understand YAH’S Calendar, then it is difficult to understand the spiritual times we are in prophetically.